Zumasys recently hit the radar with the worldwide coverage of its acquisitions. First Zumasys purchased Accuterm and the MultiValue Dashboard in mid-2014, and then shortly afterwards they acquired the worldwide distribution rights for OpenQM and now they have purchased jBASE. It feels that Zumasys has gone from nothing to hitting the MV radar big style. So who is Zumasys and more importantly who is behind Zumasys ? The story seems to start decades ago with a man and a woman – Gus Giobbi and Monica Giobbi. 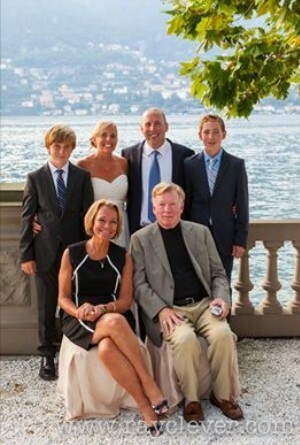 The Giobbi’s successfully started and ran International Spectrum. International Spectrum started in the early 1980’s and was widely known in the MultiValue world as being the “go to” resource for all things Multivalue or Pick as it was back then. Spectrum issued a monthly magazine and held annual conferences (primarily in the US) but they did come to the UK too. Paul Giobbi is a true Multivalue product. He is the son of Gus and Monica Giobbi (stepson) who were responsible for starting International Spectrum. Their conferences were held in the UK, France and Australia as well as the US. 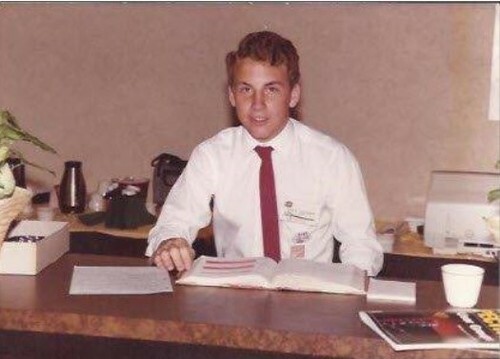 One of the first pictures to be found on the internet of Paul Giobbi is actually one from over 30 years ago doing his homework at the registration counter of the Spectrum Show in New Orleans. Paul Giobbi is President of Zumasys which was started in 2000. Zumasys is a leading provider of cloud computing solutions for business-critical software applications and ERP systems. Interestingly, Zumasys is one of the largest D3 vendors too (D3 is now owned by Rocket). For nearly 15 years now, Zumasys has been supporting, stabilize and modernize their applications, within the context of their mainstream IT environments for Pick MultiValue customers. Zumasys boast the largest team of MultiValue application developers and engineers in the market and they feel they are in a unique position to help Pick users (D3, UniVerse, UniData, jBASE and OpenQM) to enhance and modernize their applications. Paul Giobbi feels that Zumasys customers gain an enthusiastic partner and an extensive bench of Pick engineers, each with an average of more than 30 years of MultiValue experience. Paul has been quoted as saying: “MultiValue matters to us because it matters to our customers”. In 2014, Zumasys was named the #1 Best Place to Work by the Orange County Business Journal. In 2013, Zumasys were honored by OC Register and their "Top 100 Best Places to work in Orange County". Not only were they #2 out of 50 in the small company category, but based on all of the comments of the fabulous Z Team, Paul also won the Top Leadership Award as well as an Award for Social Responsibility. On Paul’s recent visit to the UK following the jBASE acquisition, I managed to meet up with him to find out more about the person. Paul has a lovely persona. Very friendly, a people person with a good solid technical grounding. He is chatty and open with a very obvious zest for life and technology. Paul Giobbi has Italian roots and is a family man (married for over 20 years) with 2 teenage sons. Could Paul already be grooming the next generation of MultiValue advocates ? He’s also a bit of an action man – into skiing, and mountain bike riding. Skydiving has also featured in Paul’s outside-of –work activities. Paul does not appear to be a man of stagnation or no action. So, MultiValue Folk let’s watch this space – this face - this man and Zumasys ! Paul Giobbi - the face behind Zumasys !